On Sunday, Cigar Train in Spokane WA had their 3rd anniversary and customer appreciation event. As a big side note, I wasn't feeling well on Sunday so consequently Paula and I had to leave early. Along with that I didn't get any photos, head-counts or any of the other normal details. With no details I did Brian Coerver--owner of Cigar Train--a bit of injustice, but regardless the event really deserves a post. OK, on to the event! The event itself featured a vast array of fine cigars, some great food (hamburgers, hot dogs and salads) and cold drinks (beer--Cigar Train beer--water and sodas). The highlight of the event was taking the new Caldwell Cigars Eastern Standard Maduro Midnight Express for a spin and trying two great Cigar Train beers. Yes, I said Cigar Train Beer. I haven't been told officially, and I'm not sure why, but Cigar Train now is now brewing it's own beer. Both beers, one a hearty coffee based stout, the other a lighter summer ale, were fantastic. I'll try sitting down with Brian this week so I can report the full details. 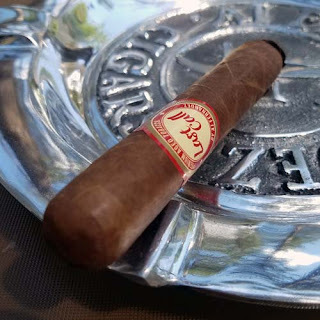 In my opinion, Cigar Train hosted another fantastic event and I wany to say thank you! Plus, at this time I would like to announce you will be seeing more beer related posts in this blog.